Through the efforts of Jari Villanueva, Les Hampton and TAPS 150, we were able to push through the bill to have Taps finally recognized on the national level. This effort was started almost three years ago and we are thankful to Rep. Tom Reed of NY for introducing the House Resolution. Although not exactly what we wanted we are grateful for the outcome. The bugle call Taps has, for 150 years, held a special place in our American heritage. While still sounded every evening at military bases to signal Day is Done, the notes of Taps have become part of our national conscience. In times of peace and war the 24 notes of this familiar melody have been performed each day in virtually every part of our nation. 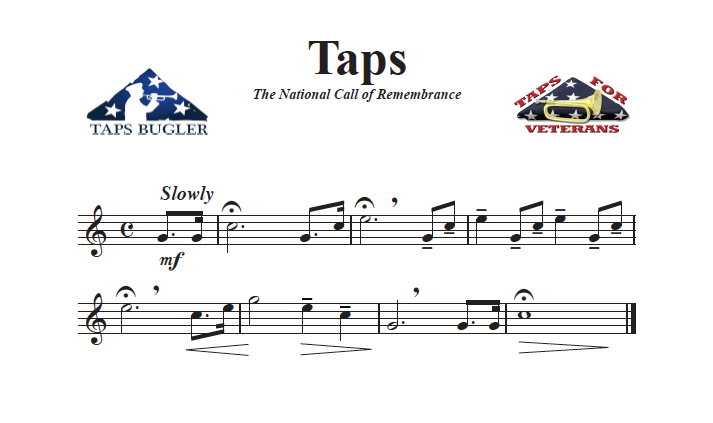 Congress has designated Taps, the haunting 24-note bugle call that American military forces have used since the Civil War, as the National Song of Remembrance. 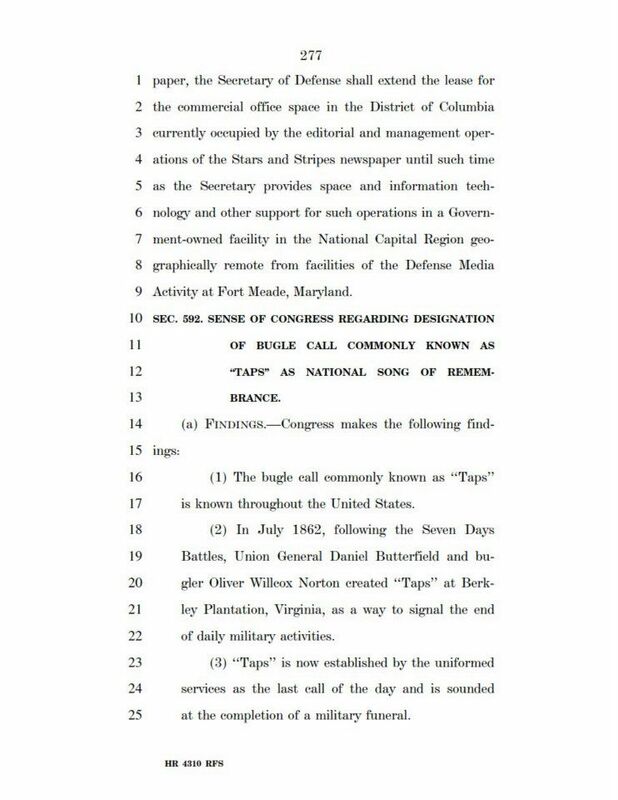 Work on this resolution began in 2009 as a project of TAPS 150, the organization set up to commemorate the 150th anniversary of the bugle call Taps. 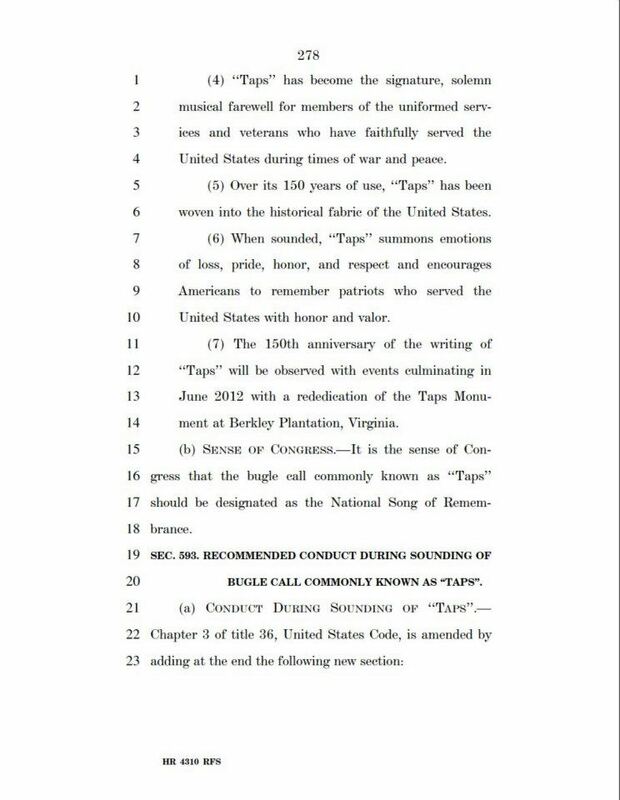 TAPS 150 began with a petition then solicited congress. Our champion in the efforts was Rep. Thomas Reed of NY. All work including the writing of the language was done by TAPS150. After a unsuccessful try, the resolution made it into the 2013 Defense Authorization Act. However, lawmakers stopped short of putting into law directions about how people should conduct themselves when the tune is being played. 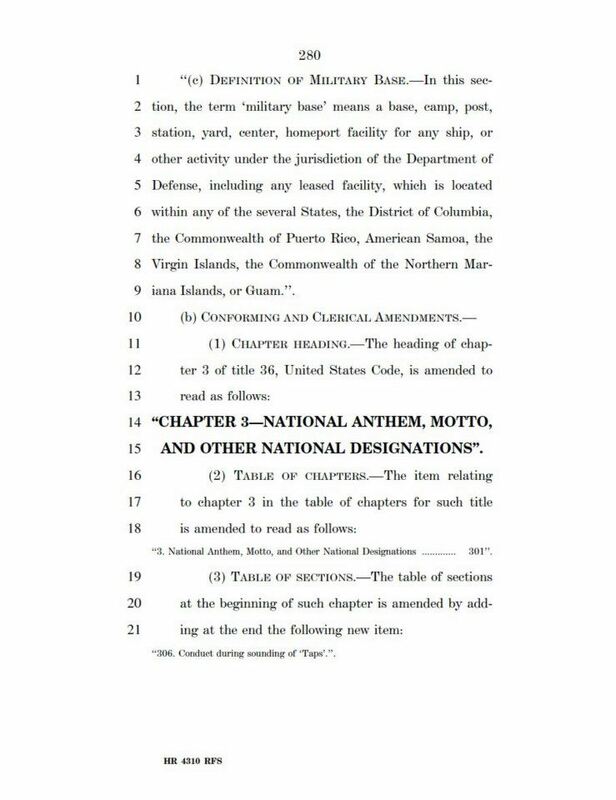 The final version of the 2013 Defense Authorization Act, passed December 21, 2012 in Congress and on its way to the White House for the president’s signature, includes a “sense of Congress” resolution stating that Taps should be the official National Song of Remembrance although Military would be added to the designation. No one doubted this designation would be made because both the House and Senate versions of the defense policy bill included similar statements about the designation. However, House and Senate negotiators decided not to include a House-passed provision on rules of conduct while Taps is being sounded at a funeral or memorial service. 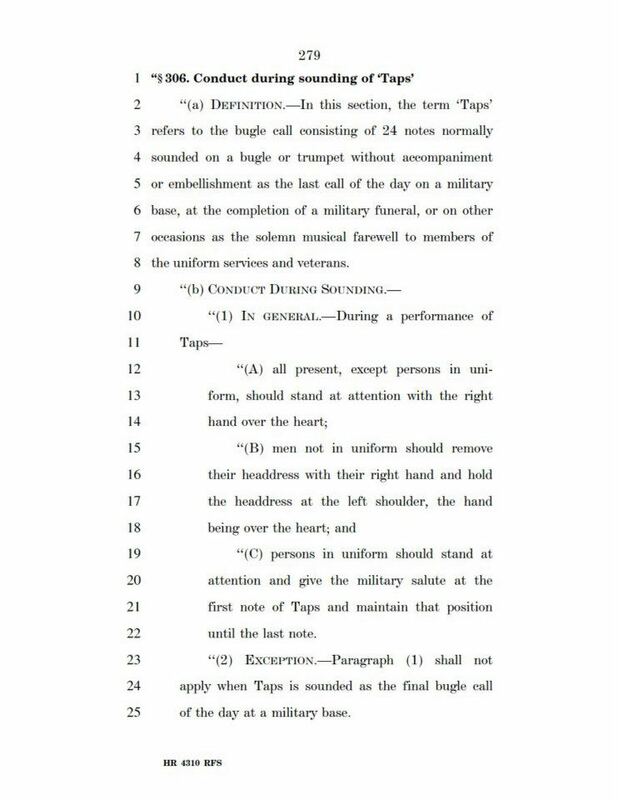 The provision was left out of the final bill because of disagreement about whether a federal law is warranted, especially regarding how civilians and military personnel not in uniform should conduct themselves when the song is played, according to aides who were part of the discussion. The House proposal was very specific. It said those not in uniform should stand at attention with their right hands over their hearts. Men not in uniform wearing a hat should remove the hat with their right hand and hold it over their heart while standing at attention. Those in uniform should stand at attention and render a military salute at the first note of Taps and hold the salute until the last note has finished. General Daniel Butterfield, and a bugler, Oliver Willcox Norton, created Taps in 1862. 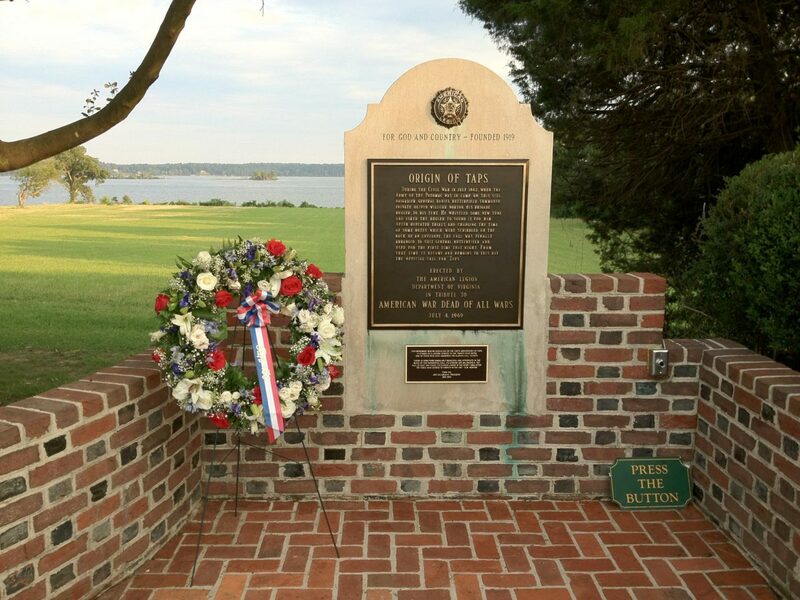 Originally conceived as a replacement signal to order lights out at the end of the day in the military, the call transformed into the funeral honors accorded all uniformed persons who have faithfully served our country. was cut prior to December 20th. 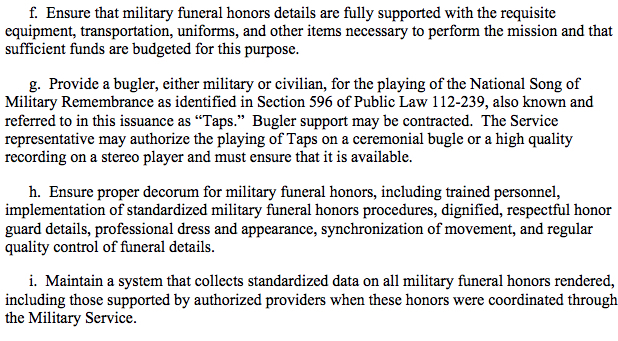 This entry was posted on Friday, December 28th, 2012 at 12:33 pm	and is filed under Bugle Stories, Buglers Through History, Bugles for Performing and Collecting, History of Taps, News, Taps in Recent History, TAPS150. You can follow any responses to this entry through the RSS 2.0 feed. You can leave a response, or trackback from your own site.